In this article, you can view a list of the best vector drawing apps for your iPad or iPhone. If you are a creative iDevice user or a designer and looking for an easy to use vector drawing app for your device, this post can help you to find some very useful and featured rich vector designing apps. Most of these apps can be used to create beautiful paintings like professionals. If you love drawing, you would love using these apps on your device. Some of these apps come with lots of functions and helps you create professional quality drawing which can be used in many tasks. 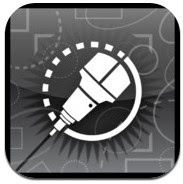 Okay check out these vector drawing apps on your iDevice. 1. 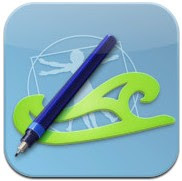 Intaglio Sketchpad ( iPhone & iPad ) – Easy and fully functional vector designing app for iPhone and iPad. With this app, you can easily draw vectors like professionals on your device by using its powerful vector drawing tools. The app is integrated with many features such as – eleven types of drawing tools ( handwriting drawing tool, geometry shapes and more ) , lots of vector editing options including layers, group, duplicate or transforming graphics , big library of customizable graphics , and more. Great app for designers and creative iOS users. 2. Adobe Illustrator Draw ( iPhone & iPad ) – If you are looking for free vector drawing app to sketch professional paintings and logos, this app would be the best option for your iPhone and iPad. Adobe Illustrator Draw comes with lots of features and helps you sketch professional art. The app includes lots of option such as zoom upto 64x, multiple image & layer editing option, advanced layout option for professional vector, stylus support and many other features. Great vector drawing app for iOS users. 3. iDraw ( iPad ) – iDraw is an amazing vector drawing program that comes with some powerful tools which can help you to draw beautiful and professional vectors quickly on your iPad. One of the best apps on the app store and it lets you design professional quality vectors easily on your device. iDraw includes many useful tools such as powerful painting , pencil and brush tools, multiple layers, essential set of shape tools, color picker and enhancement tools etc. Beautifully designed easy vector designing app for iPad users that comes with almost all of necessary vector designing functions. create beautiful and high quality vectors like professionals. The app is integrated with tons of designing and drawing features ,including powerful shape libraries, exporting and importing tools, cloud integration, standard drawing tools and advanced tools. 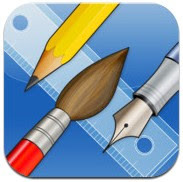 5. iPocket Draw ( iPhone & iPad ) – Clean and professional vector drawing program for iPhone and iPad users that allows you draw and modify vectors. The app has lots of features which can help you to design high quality beautiful vectors on your iPhone or iPad. 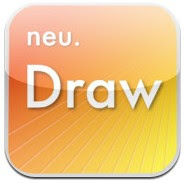 6. neu.Draw ( iPad ) – Neu.Draw is an easy and beautiful vector drawing app for iPad users that has tons of features such as freehand pencil tool, advanced drawing and painting tool, different types of shapes, image importing feature, colour picker tool, gradient editor , sharing feature and lots of other features. 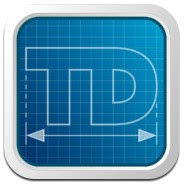 7. iDesign ( iPhone & iPad ) – iDesign is one of the best vector designing apps for iPhone and iPad users and it helps you design professional quality vectors on your iPhone/iPad. With this app, you can easily create beautiful vectors by using advanced designer and dimension tools and add ons. 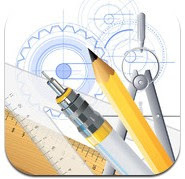 Very useful app that comes with lots of functions , including powerful and easy 2D vector drawing and designing tools.